The most symbolic of all rings, an engagement ring must be perfect in every way, a reflection of the bride-to-be and as precious as she is in your eyes. 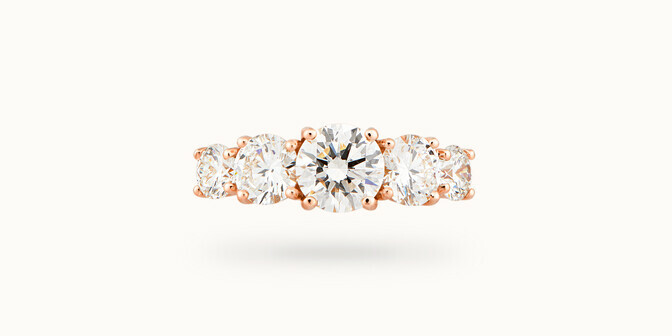 To celebrate this wonderful occasion, Courbet has imagined engagement rings in gold and diamond. 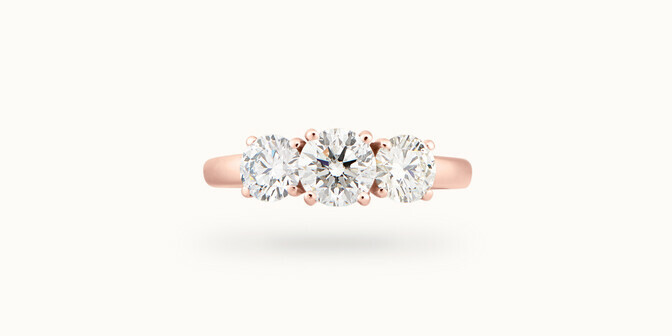 Choose a band in yellow gold, white gold or pink gold to suit her complexion and her taste. A round or square cut will bring out the beauty of the centre stone, mounted in a prong or a bezel setting. All our engagement rings are crafted with laboratory-grown diamonds. They have the exact same properties as mined diamonds. The product of science and technology, they respect the beliefs of a couple who care about others and want to preserve our planet's natural resources. The stones we select for our engagement rings are graded F or higher for colour and VS or higher for clarity. If the bride-to-be's jewellery box shows a preference for understated designs, let your heart guide you towards an Origine ring, whose single diamond is mounted on a slim band. Unless, that is, you prefer the twin stones of a 2 Courbet ring as a reminder of your shared vows. When choosing an engagement ring, you can make an appointment at the showroom on Place Vendôme or contact a Courbet advisor for a video appointment by Skype, WhatsApp or Facetime. They will present the different styles and explain each one in detail to give you a complete picture of the ring, bringing their expertise to couples whose home isn't in Paris. Each engagement ring is delivered inside a presentation box made from recycled leather, in keeping with Courbet's beliefs.